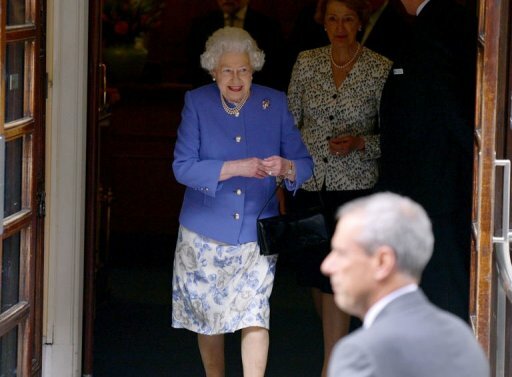 LONDON (AP) – Queen Elizabeth II visited her husband, Prince Philip, at the hospital Wednesday after officials said he will likely remain there for a few days to treat a bladder infection, an ailment that has already forced him to miss much of the celebration of his wife's 60 years on the throne. 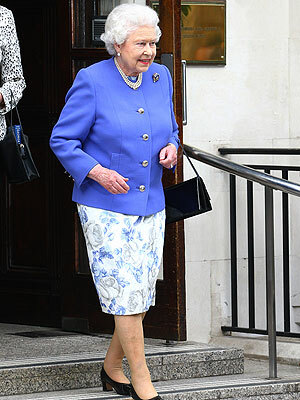 Elizabeth arrived at the King Edward VII Hospital in central London hours after Buckingham Palace said Philip's condition had "improved considerably." The palace added that the prince, who turns 91 on Sunday, was being treated with antibiotics and "is in good spirits." 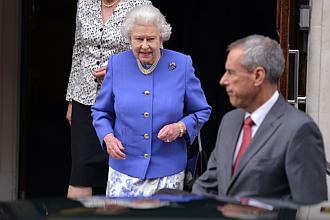 "He's mending very well," Prince Andrew, who visited shortly after the queen, told reporters. Andrew is the queen and Philip's second son. It is not clear if Philip will be released in time for his birthday. This past Sunday, he joined the queen on the River Thames in cold, blustery weather for a pageant in honor of Elizabeth's reign. He was taken to the hospital Monday, forcing him to miss several key events of the Diamond Jubilee celebrations, including a concert outside Buckingham Palace. His son Prince Edward visited him on Tuesday, and said his father was "feeling a lot better" and had been watching Jubilee events on television. Philip, who is also known as the Duke of Edinburgh, is a former naval officer who married the queen in 1947. His health remained robust through his 80s, but he has appeared frailer in recent years. When he turned 90, he said he was "winding down," and he has cut back on official duties. But he still carries out some engagements, both with his wife and on his own. The prince spent four nights in the hospital over Christmas after suffering chest pains and underwent a successful coronary stent procedure.